Home About the book Reviews About Connie "Ma Spice" Davis ORDER YOUR COPY TODAY! Constance “Ma Spice” Davis, mother of former NFL Defensive Tackle, Anthony “Spice” Adams has launched a new children’s book series that inspires children of all ages to realize their own unique value in this world and most importantly, to never give up! “Don’t Give Up!” is inspired by the true life stories of a young chubby kid named CREAM E. BIGGUMS, who succeeded despite what others said about him because of a Mother who encouraged him to DON’T GIVE UP! Ma Spice has taken these uplifting and inspiring stories and put them in a series of children’s booksfor all to enjoy. Ma Spice provides the youth of our community with an opportunity to achieve greatness and inspire classroom discussions and activities that encourage positive self-esteem and self-image. Constance R. Davis, affectionately known as “Ma Spice,” grew up in Detroit, Michigan. After high school, she attended Eastern Michigan University before graduating from the Michigan Paralegal Institute. In 1980, Anthony “Spice” Adams was born. In addition to being a single mother to her own son, Connie was also “Ma Spice” to several other young boys in the neighborhood. The stories of Anthony and his friends growing up together are the inspiration for this book and the many stories to follow. In 2003, Anthony was drafted by the NFL’s San Francisco 49ers and Connie continued to support her son as an NFL Mom. She is a veteran member of the Professional Football Players’ Mothers Association (PFPMA) and an active member of The Second Ebenezer Church, where she currently teaches in the New Membership Ministry. When she is not at church or in the kitchen cooking, you can find Connie being an awesome grandma to her grandchildren, great nieces, and nephews. And, of course, Ma Spice continues to dedicate herself to supporting and encouraging the local youth. 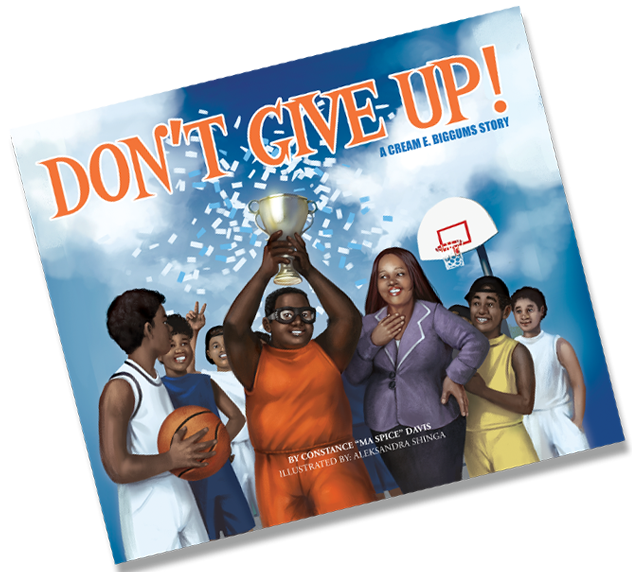 ORDER YOUR COPY OF DON’T GIVE UP TODAY! HOMEABOUT THE BOOKREVIEWSABOUT THE AUTHORORDER YOUR COPY TODAY!